Recently I have been busy working out a way to get music recorded by former US special agent M.B. Jones when he was working in South-Korea (R.O.K.) released. I teamed up with Zaltan from Antinote to create a record label. We called it drama. « Recorded in Busan, Republic of Korea by former US special agent M.B. 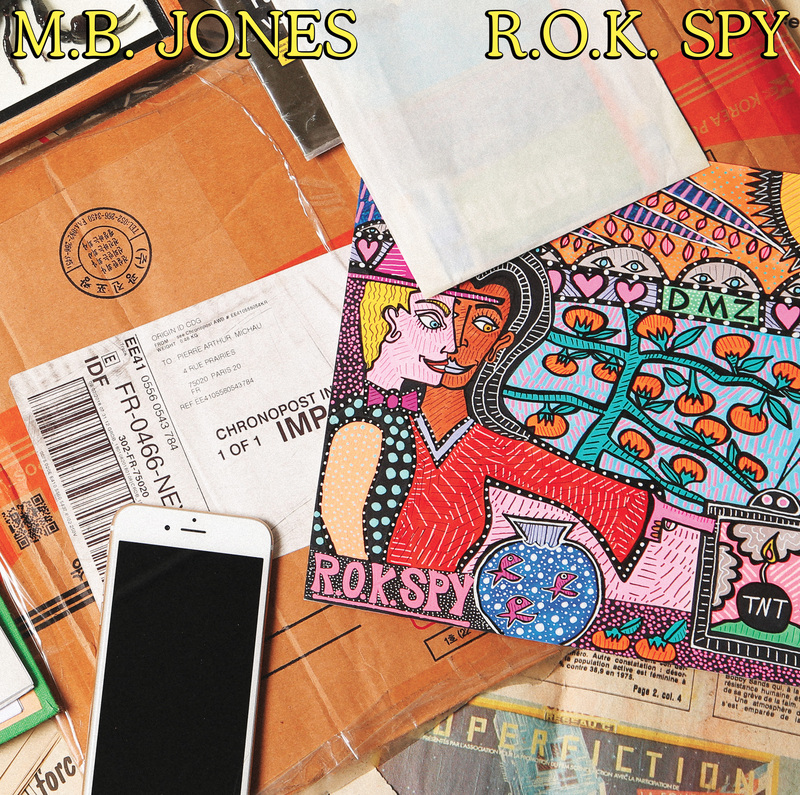 Jones, R.O.K. Spy documents both his stay in a country on the verge of a nuclear conflict and his mission there (for obvious confidential reasons, the purpose of this mission is only to be referred to in an elusive way). While most of his personal belongings have disappeared – or, more likely, been destroyed – we are very thankful for the safe receipt of a USB stick containing 7 songs recorded in Autumn 2017, alongside a drawing and a few handwritten notes. We are proud to now be able to share these with you. The content of this LP is a seemingly disparate set of pop-not-pop tunes, flirting with dance music on songs like the apocalyptical disco Nuclear War or the bizarre and mind puzzling boogie Pusan Perimeter. Though it is quite hard to put words on M.B. Jones’s productions (one may accurately call it an “oddball” of a record), his musical testimony may sit somewhere in-between Holger Czukay’s most narrative pieces and Arthur Russel’s most cheerful moments, sharing with these two brilliant musicians a genuine feeling of intimacy emanating from each second of his songs. The only thing that may be said without a doubt is that these 7 songs are the product of someone whose ear has been attentive and receptive to all sorts of contemporary musical genres (from trap to experimental electronic music and EDM).